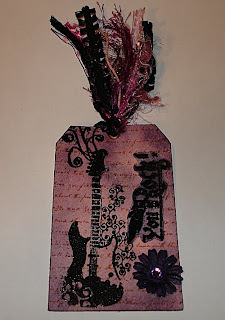 This is a tag I made for my daughter. I'm a first time Aunt! How much fun I am going to have!!!! We thought my brother and his wife would not have children. My babies are almost grown. What a wonderful blessing Honor is to our family. 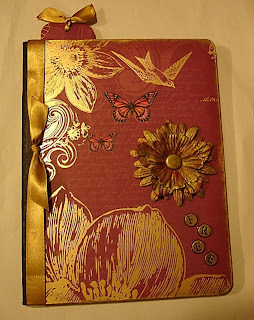 Congratulations to want2win2, Beth from An Embellished Tale!!! Beth is the winner of the paper stack. 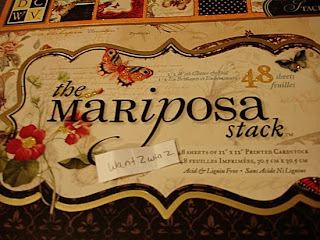 Also my first follower Vangie from Arrested Motion I have a Mariposa paper stack for you too. Ok Ladies get in touch with me. I wish I had a pack to give to each entry. Thanks for playing. It was fun! Thank you so much Ladies for all the nice comments you have left and emailed to me. I appreciate them all so very much! Good luck to all with the giveaway! Please only enter one time to be fair to everyone. 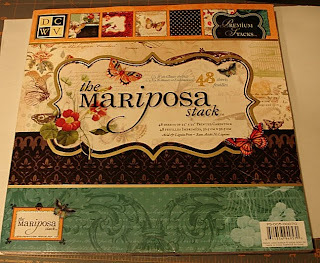 Mariposa giveaway ends tomorrow January 22, 2010 at 9:00pm EST. Winner will be drawn at 9:30pm EST. View our blog post to enter the giveaway here. If you do not want to enter the giveaway your local Joann's might have the Mariposa Paper from DCWV, right now they have 40% off sale so the paper should be discounted. I just thought it would be fun to give a pack away. Hello, I am new to the scrapbooking and cardmaking fun. This is my first shot at a Multi pocket envelope for a mini album. I really love this paper. I believe its K&Company. 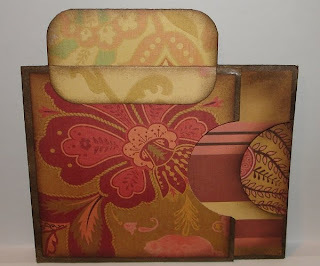 Laura from Follow The Paper Trail on you tube has an excellent video tutorial on how to make these pocket envelopes. I absolutely love all her videos. Thanks for sharing with us!